People on the other side can be our friends, relatives and ancestors in heaven, our spirit guides, even famous people, historical and religious figures. It’s amazing, how close we all truly are. Check out my Services Page! ​If you’re on the phone with me, it’s helpful for me to have a photo of the person or animal you’d like to contact, but it’s not at all necessary. It just speeds things up. If no photo is available, I may ask you to say the person’s name and describe how they appeared to you. This helps me to attune to that person’s frequency, like finding a radio station. I always ask spirit to please say something immediately that will help to confirm for the client that we have the right person. I will always respect your privacy, your boundaries and your emotions. I was born talking to animals. Some people had imaginary friends, I had imaginary pets! It was my family dog, a schnauzer named Heidi, who was my first teacher in Animal Communication while I was a teenager. Through my twenties I studied and trained myself informally, learning by doing. I surrounded myself with animals at every opportunity, through part time jobs and volunteer gigs. An animal communicator, or "pet psychic" is someone who has enough experience in communicating telepathically with animals that we can consistently translate the thoughts, images, physical sensations and emotions animals share with us and relate it to their loving human guardians in our own verbal language. These conversations with animals can help resolve behavioural issues, improve relationships, solve mysteries and provide funny insights into your animal friend's life! ​Writing is a second calling for me. I love writing fiction, writing articles about animals, writing guest blog posts and I keep my own personal blog of my own weird and wonderful psychic life! Click here to discover my blog! After a while, blogging wasn't enough! 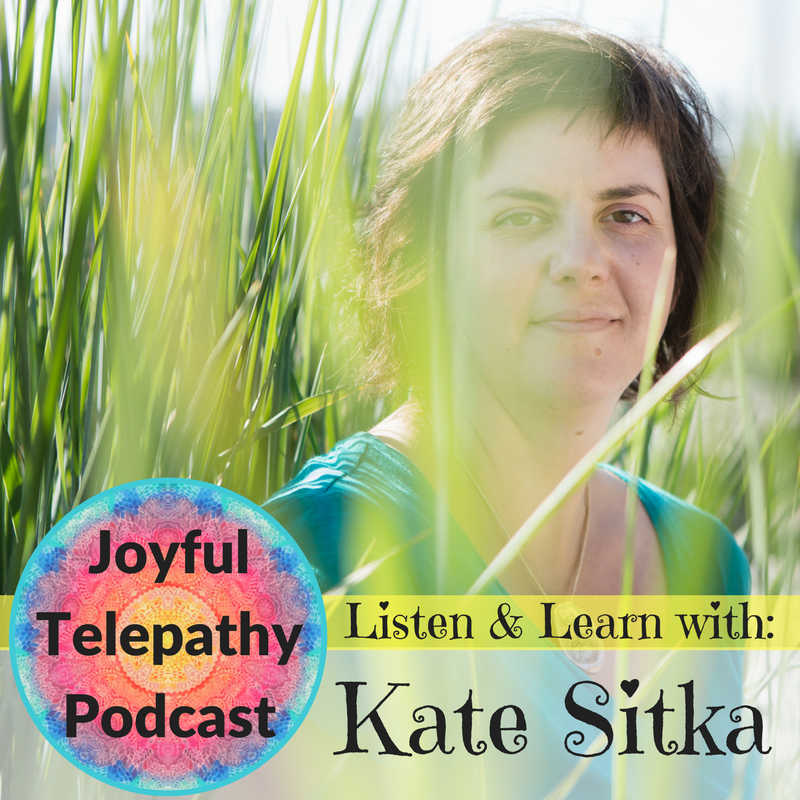 I wanted to be able to speak freely about my ideas and experiences, so, as an extension of my blog, I launched the Joyful Telepathy Podcast! 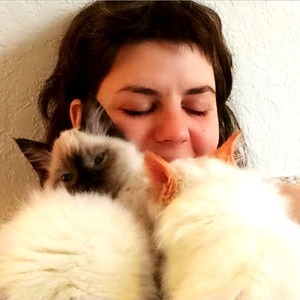 Click here to listen to hundreds of hours of Kate's chats, interviews with animals, and musings on life, death, and the afterlife! 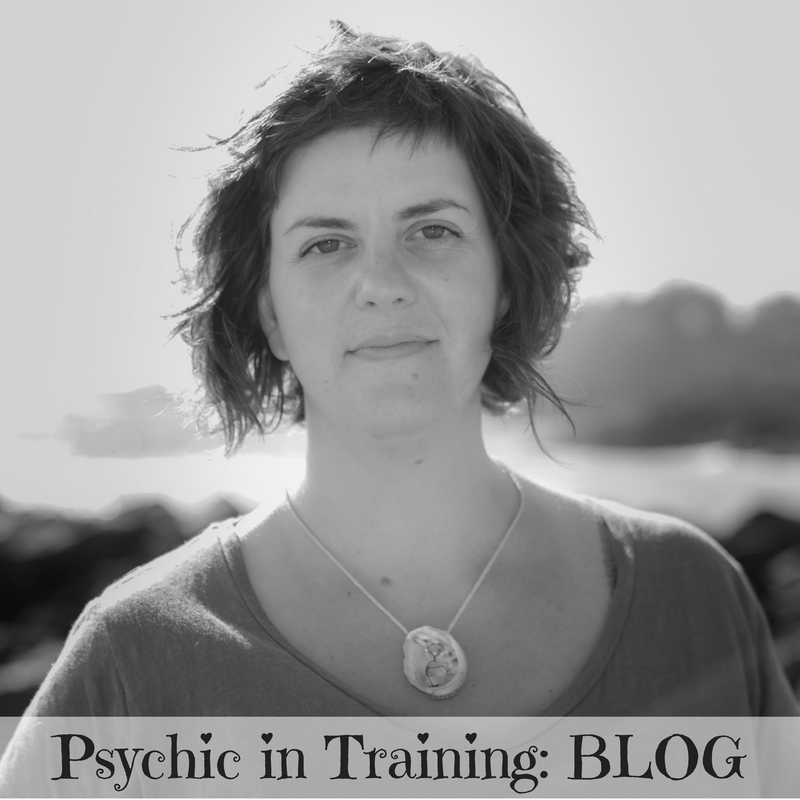 I have been a regular contributor to the popular Channeling Erik blog, and I am so grateful to Elisa Medhus and to Erik for their continuing support of me, my psychic practice and my writing. Click here to go to my Channeling Erik posts.